"I had no schooling whatever while I was a slave, though I remember on several occasions I went as far as the schoolhouse door with one of my young mistresses to carry her books. The picture of several dozen boys and girls in a schoolroom engaged in study made a deep impression on me, and I had the feeling that to get into a schoolhouse and study in this way would be about the same as getting into paradise." The vision of that schoolroom and the idea that learning was "paradise" would provide lifelong inspiration for Washington. He is, perhaps, best remembered as the head of the world famous Tuskegee Normal and Industrial Institute, founded in 1881, and known today as Tuskegee University. Washington believed that once it was apparent to whites that blacks would "contribute to the market place of the world," and be content with living "by the production of our hands," the barriers of racial inequality and social injustice would begin to erode. Those words were spoken on September 18, 1895 at the Cotton States and International Exposition held in Atlanta, Georgia, known as the Atlanta Exposition. Washington's speech stressed accommodation rather than resistance to the segregated system under which African Americans lived. He renounced agitation and protest tactics, and urged blacks to subordinate demands for political and equal rights, and concentrate instead on improving job skills and usefulness through manual labor. "Cast down your buckets where you are," he exhorted his fellow African Americans in the speech. Throughout his adult life, Washington played a dominant role in the African American community and worked tirelessly to improve the lives of blacks, many of whom were born in slavery. He gained access to presidents, top national leaders in politics, philanthropy and education. President William McKinley visited the Tuskegee Institute and lauded Washington, promoting him as a black leader who would not be perceived as too "radical" to whites. In 1901, President Theodore Roosevelt invited Washington to the White House. A picture was published of the occasion, which angered many whites who were offended by the idea of a Black American being entertained in the White House. Washington was never invited to the White House again, although Roosevelt continued to consult with him on racial issues. However, by the early 1900s, other African Americans, such as W.E.B. Du Bois and newspaper editor William Monroe Trotter, were becoming national figures and speaking out about the lack of progress African Americans were making in American society. Du Bois, initially an ally of Washington's, was particularly vocal about what he believed was Washington's acceptance of black's unchanging situation and began to refer to Washington's Atlanta speech as the "Atlanta Compromise" — a label that remains to this day. The criticism by Du Bois and others diminished Washington's stature for some in the black community. They denounced his surrender of civil rights and his stressing of training in crafts, some obsolete, to the neglect of a liberal arts education. Washington's public position of accommodation to segregation came in conflict with increasing calls from African Americans and liberal whites for more aggressive actions to end discrimination. Opposition centered in the Niagara Movement, founded in 1905, and the National Association for the Advancement of Colored People, an interracial organization established in 1909. Even in death, as in life, Washington continues to engender great debates as to his true legacy. 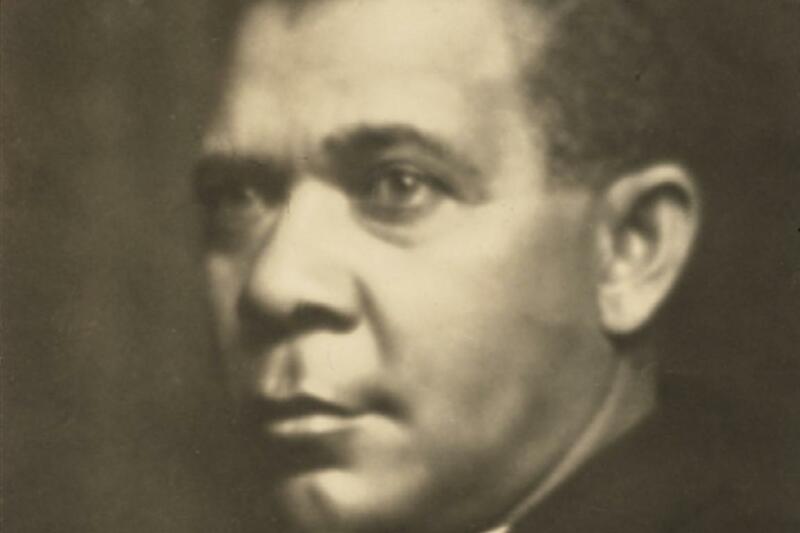 He was a founder of Tuskegee Institute, building it into one of the premiere universities for African Americans at a time when few alternatives were available, and he raised considerable funds for hundreds of other schools in the South for blacks. Yet, his 'Atlanta Compromise' speech stressed the need for blacks to accept the status quo and focus on manual labor as a way to economic development. In contrast, Du Bois believed that the "object of all true education is not to make men carpenters; it is to make carpenters men." Washington's position that "the agitation of questions of social equality is the extremist folly," stands in stark contradiction to his covert support of legal challenges to discrimination. It is difficult to calculate the negative impact that flowed from Washington's unwillingness to speak out publically against lynching and other acts of violence against blacks at the time — even with his extraordinary access to presidents and other prominent whites in the nation.